In 2015 a massive earthquake struck Nepal. The shaking triggered avalanches and mudslides. Temples that had stood proudly for thousands of years crumbled and some 9,000 people lost their lives. 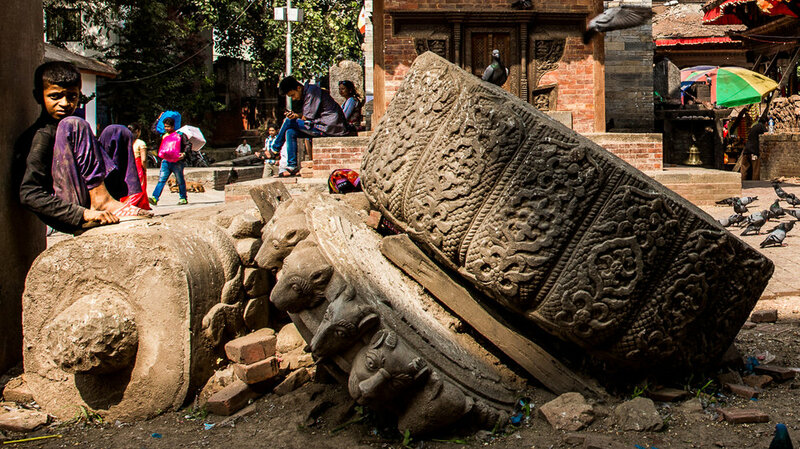 Intense post-quake media coverage ensued, and a significant decline in the country's tourism industry, which employs around one million Nepalis, followed. Out of the chaos, the country's first virtual reality company was born. “Sure, some temples were damaged, but there were a lot of others that weren’t," Saurav Bajracharya, CTO at Semantic Creation said. "The mountains didn't fall down, the hotels were still standing, life kept going. We wanted to show people that Nepal wasn't all one big disaster zone." Bajracharya and a group of three friends set about showing the world that the country was still open for business. They started making virtual reality experiences that showcased popular places around the country that hadn't been flattened to give people a real sense of what the country was like. Popular tourist attractions like Annapurna Basecamp, and Budhanilkantha Temple started their collection and they even jumped off the side of a mountain to give users an idea of what it was like to paraglide. People in Nepal started to take notice. Since all these videos could be viewed on a mobile device, local businesses started to ask the team if VR experiences could be created to show the inside of their hotel or shop. Semantic Creation has since made virtual reality videos for bike shops, hotels and even the country's largest manufacturer of momo's, a popular Nepali dumpling. The company is still figuring out the local market, which has been virtually untouched by virtual reality. Smartphone penetration is high in Nepal, and an estimated 7.5 million Nepalis are online — around 28 percent of the country. Still, data remains expensive and many smartphone devices are underpowered. In the meantime, if you want to go on virtual vacation to the rooftop of the world, you can check out their VR videos here.